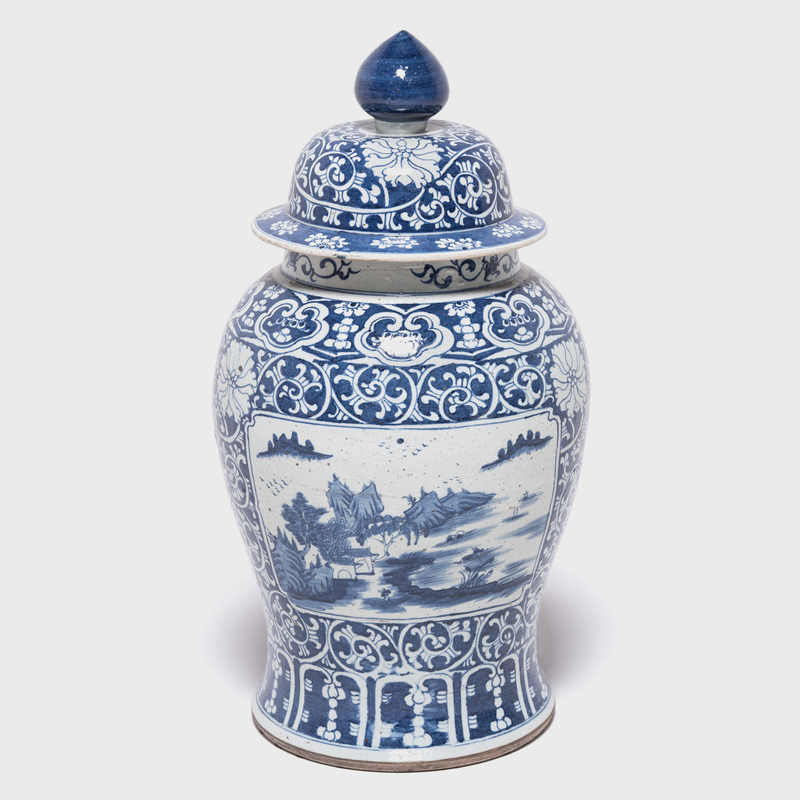 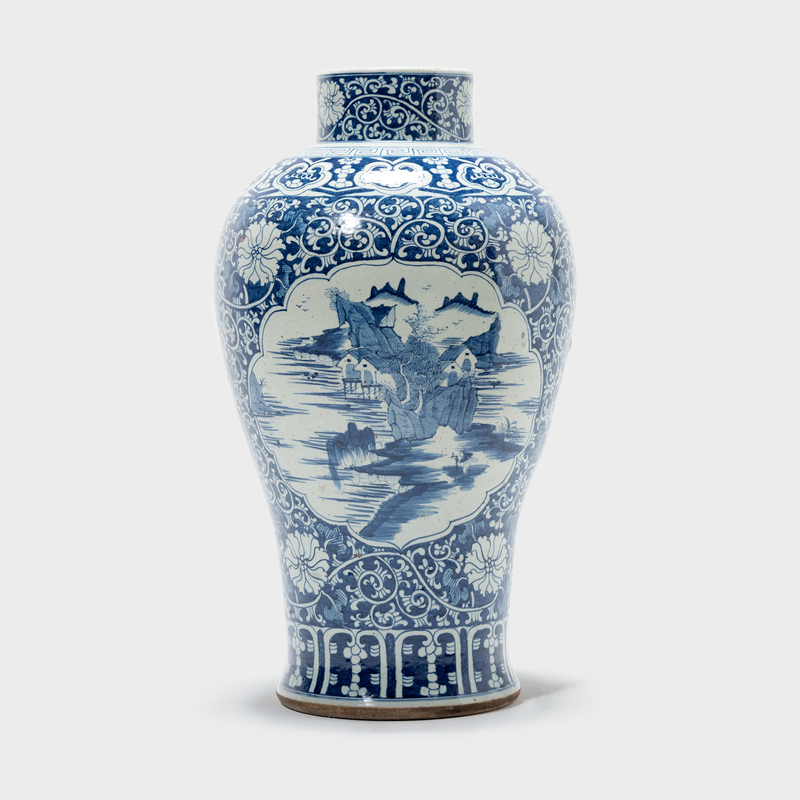 This is a monumental blue and white meiping-shaped vase painted by hand with a landscape scene surrounded by a floral vine motif. 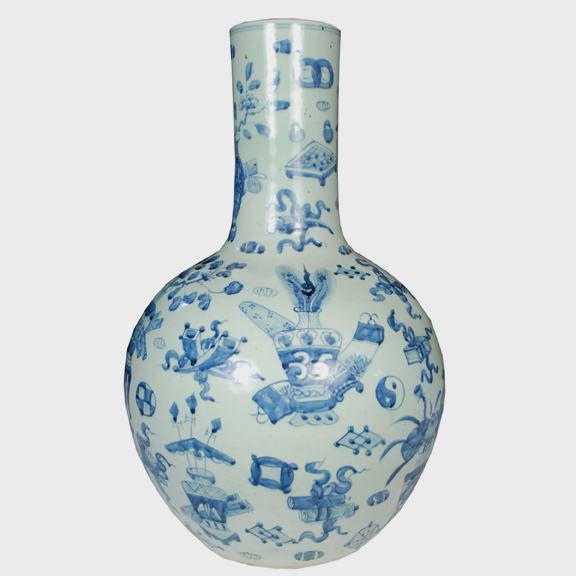 The cobalt oxide used to create the blue decorations was introduced to China thousands of years ago by Islamic merchants. 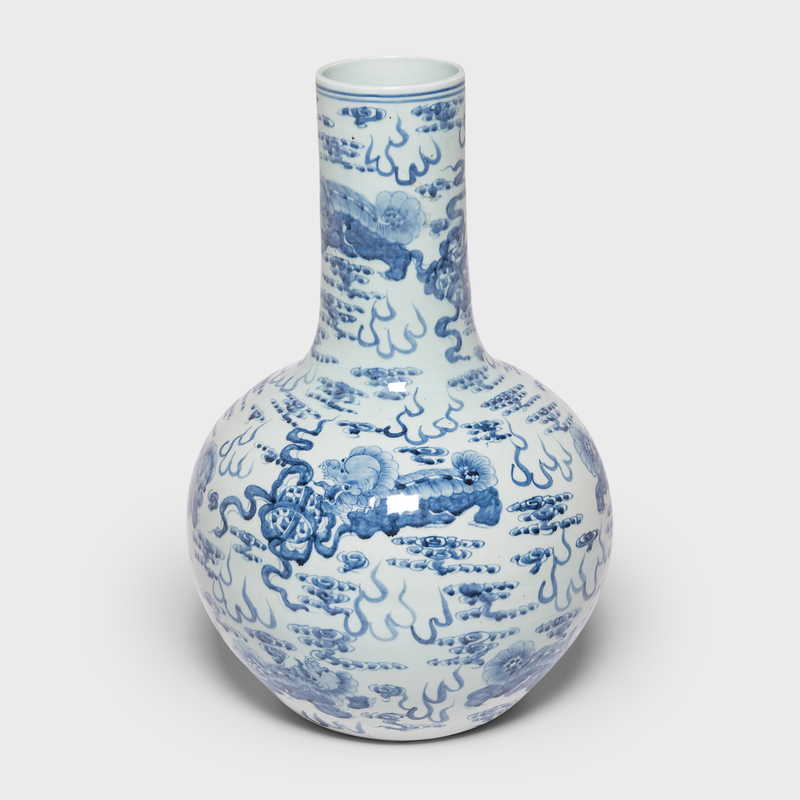 Chinese potters welcomed it and refined the porcelain glazing and firing techniques that inspire this genre of ceramics worldwide.